Interviews and Quotes from Dr. Byock. Dr. Byock has been involved in hospice and palliative care since 1978. At that time he helped found a hospice home care program for the indigent population served by the university hospital and county clinics of Fresno, California. He is a Past President of the American Academy of Hospice and Palliative Medicine (1997) and was the recipient of the National Hospice and Palliative Care Organization prestigious Person of the Year award (1995). Dr. Byock is a frequent workshop and keynote presenter at state, regional, national and international meetings. He has authored numerous articles on the ethics and practice of end-of-life care. He has served as Chair of the Ethics Committee for the American Academy of Hospice and Palliative Medicine and has been a member of the Ethics Committee of the National Hospice and Palliative Care Organization. He serves on the editorial boards of several professional publications, including the Journal of Palliative Medicine. 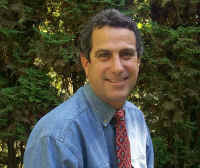 Dr. Byock has appeared on numerous national television and radio programs, including Letting Go: A Hospice Journey (HBO), Final Blessings (NBC), Nightline (ABC), Before I Die: Medical Care and Personal Choices (PBS), All Things Considered (NPR) and his essays have appeared in national papers, including the Washington Post and Wall Street Journal. His book, Dying Well: The Prospect for Growth at the End of Life, is available from Putnam/Riverhead. Dr. Byock�s research interests include assessment of subjective quality of life of people living with advanced, incurable illness and development of evidence-based, community models for caregiving, dying and grieving. *Chief Medical Consultant and Board of Directors, Partnership for Caring, Washington, D.C.
*Board of Directors, National Health Council, Washington, D.C.
Dr. Ira Byock's book Dying Well: The Prospect of Growth at the End of Life is published by Putnam/Riverhead and distributed in the USA, Canada, Australia, Germany and Japan. This week HealthBond will publish an End-of-Life series focusing on expert professionals in various segments of end-of-life care. Our goal is to communicate what others are and have done in their respective fields. HealthBond would like to highlight - On Our Own Terms: Moyers on Dying. A four part series on end-of-life issues, airing on most public television stations September 10, 11, 12 and 13, 2000 at 9:00 PM ET.